Suppose you are a Hollywood executive tasked to manage a lucrative but aging superhero franchise. You have a problem: after putting out a half-dozen sequels and prequels, the cast is getting too old and the formula has gone stale. One solution is what Sony Pictures did with Spider-man: fire everyone on the set and start all over again. They call it the “nuclear option.” A less ugly solution is to exercise a bit of creativity. Why not write a time travel story that brings together two generations of cast members? That way the baton can be passed without sacrificing continuity or alienating fan boys. That’s exactly what Marvel Entertainment has done with the latest X-Men installment. 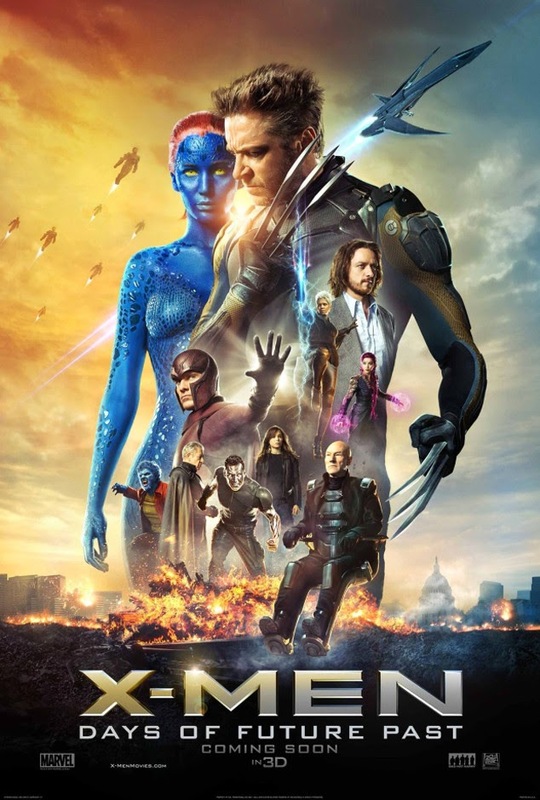 The story goes something like this: in the post-apocalyptic world, Xavier (Patrick Stewart) and Magneto (Ian McKellan) sends Wolverine (Hugh Jackman) back in time to stop Mystique (Jennifer Lawrence) from assassinating weapon designer Bollivar Trask (Peter Dinklage). The idea is to alter the course of history to avert the near-total annihilation of mutants by the Sentinels, robot killers designed by Trask and deployed in a genocidal war as a result of his death. You may be wondering: Haven’t I seen that movie before? Well, sort of. Most of the material is derivative, with plot elements taken from The Terminator and The Matrix. Still, the story flows well and doesn’t get in the way of the great acting. And there is no shortage of that in the film. Stewart and McKellan are so comfortable in their roles that they can make even the most preposterous lines sound credible. Equally at ease is Jackman, who can play Wolverine in his sleep and act with pretty much just his eyebrows and a cigar. Lawrence, despite not having much material to work with (her face and body are covered in blue scales for most of the movie), takes on the female lead role with equal parts grit and vulnerability. But the MVP awards go to Evan Peters and Michael Fassbender. Peters, the young star in television’s American Horror Story, plays the teenage mutant Quicksilver capable of moving at supersonic speeds. Peters is spot on portraying a millennium kid: aloof, unmotivated but devilishly clever. The prison break he engineers is hands down the film’s best set piece, recalling the bullet-time spectacle in the first Matrix film and pushing Days of Future Past to a climax. The second stand-out is Michael Fassbender, who has proven himself to be as versatile an actor as Mystique a shape-shifter. His every emotion – whether it is anger, remorse or connivance – transcends the confines of a comic book character. 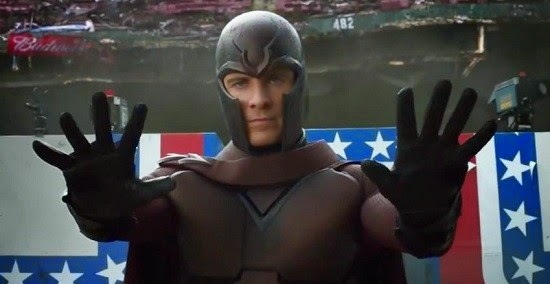 Fassbender dissolves so thoroughly into his role as young Magneto that he becomes the anti-hero, providing the dramatic glue that holds the movie together. Director Bryan Singer has bounced back from his creative slump after duds like Superman Returns and Valkyrie. Despite that and his rather messy personal life, Singer has taken a page from the Chris Nolan and Joss Whedon playbook and is now back at the top of his game. While some may criticize Days of Future Past for taking itself too seriously (which it does at times), it succeeds in breaking out from the glut of superhero follow-ups and beating genre fatigue. The time travel story line is not new. Remember the 1994 Star Trek Generations where Captain Picard was working with Captain Kirk? Coincidentally, Patrick Stewart was also in that. Some other X-Men movies/comics devotees (a.k.a. nerds) commented that some scenes in this one are reminiscence and throw-back to the 2nd X-Men movie. And the purpose of this installment is to set up for the next X-Men: Apocalypse scheduled to come out in 2016. My query though is why there is no Gambit at all in any of the X-Men movies, be that the "sequels and prequels". But suddenly, Simon Kinberg, the Producer, recently said they are planning to do a Gambit spin-off. What...??? I think I will pass this one and wait for the X-Men: Apocalypse. I already watch X-man last night it's was so cool! I finished X-Men, this is really cool though they didnt fight too much. I disagree with one point however: I felt the 3D conversive was awful, and definitely not worth the price. 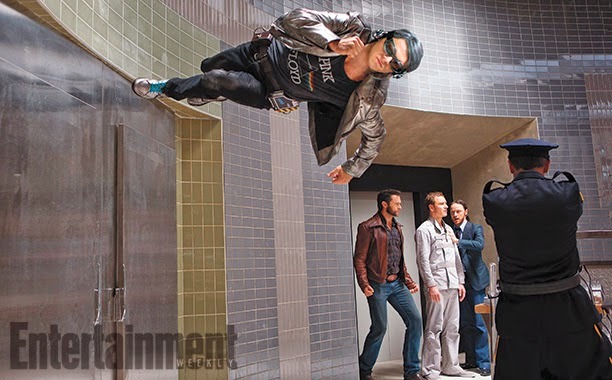 The 3D added nothing to the film after the Quicksilver scene.